Fresno Yosemite International Airport (IATA: FAT, ICAO: KFAT) located in Fresno, California, was opened in June 1942 as Hammer Field and was operating as the military airbase only. The airport was used as the training facility for the Fourth Air Force. After World War II was over, the municipality of the state saw the opportunity of constructing the commercial airbase, as the Fourth Air Force dismissed the airport for lack of need. The construction of the new airport started in 1946 on the northeast side of the former airfield. Later, in 1948, the new passenger airport was officially opened for the public's attention. 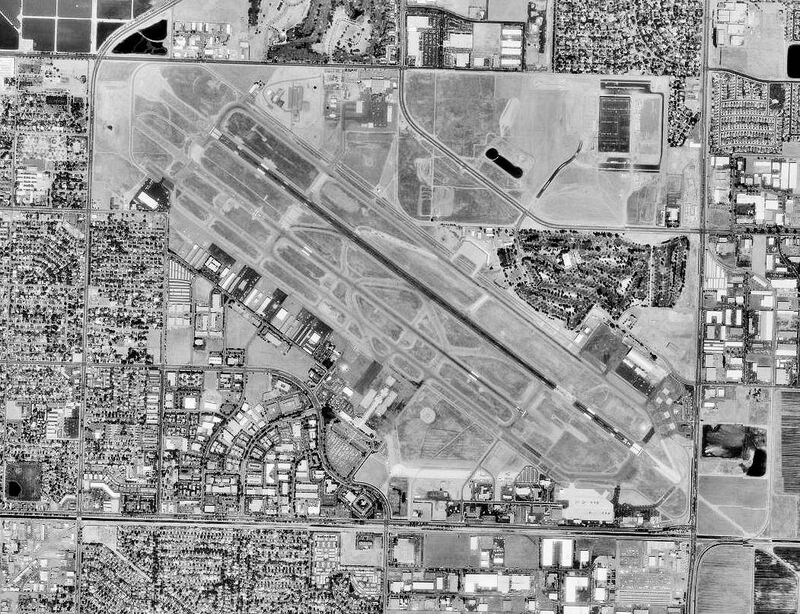 In the 1950s, the California Air National Guard established the Fresno Air National Guard Base on the property of the airport. Moreover, the 194th Fighter Squadron and the 144th Fighter Wing moved there in 1954 and 1957 relatively. After the relocation of the guard on the airport's territory, the need for the second runway arose. Therefore, in addition to the existing 11L/29R runway, the new 11R/29L was constructed in 1956. The southern corner of the airport, as well as the rest of the airport, has started to come together by 1959. The central lobby, the baggage claim area, and the ticket-counter area were constructed during that time. The control tower was built in 1961, shortly after the passenger airport was constructed. In 1978, the new concourse was built right in from of the central lobby, that replaced the former construction of the airport that was making passengers move across the terminal on the open air. Fresno Airport has been the hub for approximately three American airlines. Far West Airlines was established at the airport in the mid-1980s. Meanwhile, Air21 was implemented at the airport in January 1997, as well as Allegiant Air. In 1996, the name of the airport was changed to Fresno Yosemite International Airport to increase the number of international flights coming to the city. However, the situation was not improving for a decade, as the international flights were still not coming to the airport.